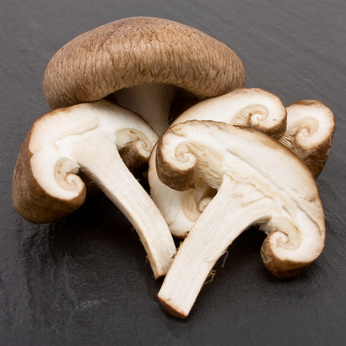 Savory shitake mushrooms are rich in immune stimulating polysaccharides. Maitake mushrooms may also be used. Components in these mushrooms have been shown to stimulate white blood cell activity. Be sure to use the soaking liquid. It contains most of the medicine and the flavor. Remove the shitakes from their soaking liquid and reserve it. Remove the coarse stems from the shitakes and slice the mushroom caps. If you are using fresh sage and thyme remove the coarse stems and mince the herbs. Add the oil to a heavy bottomed pan and add the mushrooms, herbs and vegetables. Sauté the mixture over medium heat for ~ 10 minutes, until everything is lightly browned. Add the soaking liquid, 1 T. Aminos and simmer it covered for 5 min. Add the milk and warm but do not boil the mixture. Taste it and add more Braggs if you prefer a stronger, saltier flavor. Bring the gravy to a boil and quickly add the arrowroot rue, stirring constantly. As soon as the mixture thickens, remove it from the heat and serve it with grain, mashed potatoes, meat or poultry. This recipe makes 3 cups. 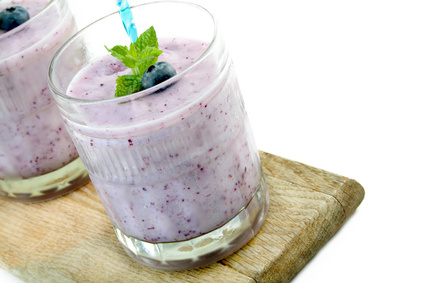 This smoothie is designed to enhance and protect the immune system. The berries supply concentrated flavonoids. The pineapple, kiwi and papaya are rich in proteolytic enzymes to reduce inflammation. The nuts and seeds supply essential omega 6 fatty acids and protein. The flax or fish oil supply omega 3 fatty acids. The ginger and mint stimulate digestive function. It is meant to be gently cleansing, nourishing and easy to digest. All of the ingredients should be organic if at all possible. This recipe makes two servings. If you are only serving one or your blender is two small, just reduce the quantities by half. Place all of the ingredients in a blender and puree, starting at low speed and increasing to high. This recipe is fairly thick. If you prefer a thinner smoothie, just add more liquid. Leftovers may be stored in the refrigerator, but should be consumed the same day. Rice milk is a low fat, hypoallergenic milk substitute. Kefir is a cultured dairy product with very little lactose and lots of beneficial bacteria. It is suitable for lactose intolerant individuals, but not those with an allergy to milk protein. Coconut milk is especially good for weight gain and increasing nutrition through its high quality, easily digested fats, medium chain triglycerides.